Matt Tong and Brendon Trass could be two of my favourite people in the city. You just feel, when you're with them, they have your back. 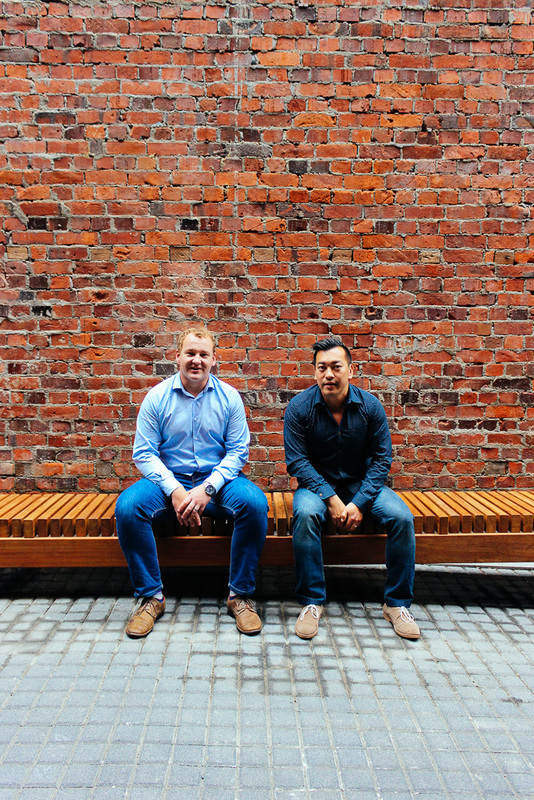 We may be the Creative Capital, with entrepreneurial businesses to boot, but people like Pocock Tong Trass are essential advisers who help Wellingtons business brains rise to the top. Along with Alfie, the dog and official mascot of Pocock Tong Trass, the unstoppable boutique accounting team are where it's at when it comes to getting business done. I wanted to better understand how Matt and Brendon along with firm founders, Bryan Pocock and Anna Pocock, make this city run. 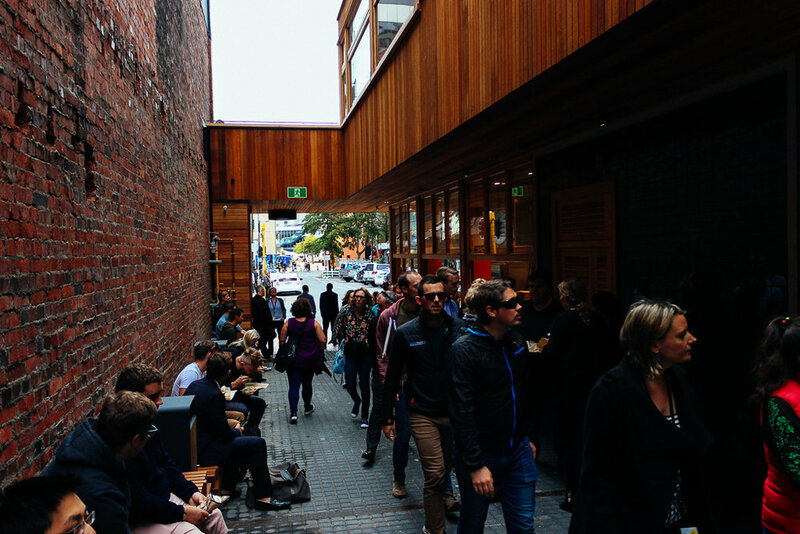 So, over lunch at newly opened Press Hall, Matt, Brendon and I grabbed a bite and talked why they love seeing Wellington succeed and how they came to work for their firm. Who Are Matt and Brendon from Pocock Tong Trass? For the last year, these two have been helping me out with The Residents. While I certainly relish their 'no job is too small' attitude, what I love the most about Brendon and Matt is their enthusiasm for Wellington and for people, just like me. The directors at Pocock Tong Trass Accounting Firm are Wellington born and raised, as are the founders of the firm, Bryan and Anna Pocock. We first met when after publishing an interview with Anjali and Rachel of Twenty-seven names last year, Matt retweeted my interview, endorsing it (they do the books for these local icons). I slide into his DM's, suggesting a coffee (I was looking for help so I could toe the line with the tax man). From there, a working relationship and a friendship have evolved. I love hanging out with Matt and Brendon. Spending time with them always makes me feel happy and like I've been laughing all day after I leave their company. Safe to say, this pair of locals know what it takes for a Wellington business to succeed. What were Brendon and Matt like growing up? Lower Hutt born Matt pulls no punches when it comes to describing himself as a teen. "I was a typical Asian child," says Matt. "Who was quite into his study until Year Seven when I discovered sports. 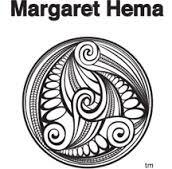 Then in Sixth Form, while at Hutt Valley High, I discovered I had a short attention span." This short attention span continues to this day, but fortunately, Matt has tamed it so he can get the books done in time. He loves working on multiple projects at the same time and says the varied and diverse nature of his job means he never gets bored. Brendon grew up on the other side of the hill. "My Dad was a mechanic and tradie. My parents split up when I was two so we moved back to Wairarapa from Taupo. Mum was an accountant so I would go to her work after school to do homework. Seeing her being boring, moving papers on a desk, I'd swear I would never become an accountant like her" he laughs. "People would think the same if they saw us now. But what you can't see is the context and the problem-solving that make that paper-shuffling really interesting." Why were they attracted to working at a boutique accounting firm, over a big one? 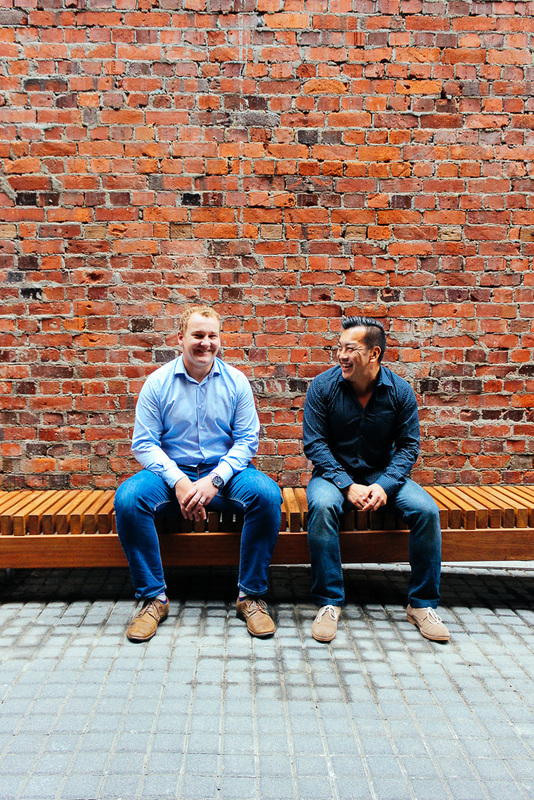 Matt and Brendon were good at Maths and Accounting at their respective High Schools, which led them to study a Bachelor of Commerce and major in Accounting at Victoria University. When it came to finding a job after University, neither were attracted to 'Big Firm' life. Instead, Matt was attracted to the job advertisement, boasting that a job at Pocock Hudson, as it was then, would include "Unlimited Cappuccinos." "I liked it because it was talking about something other than the work. While that's more common now, then it seemed really different and spoke to the culture of the place. I applied, and I got an offer, and I remember that the envelopes had stickers with the firm logo on them. That blew my mind and I thought it was so cool" Matt laughs. For Brendon, it was the flexibility. "I applied for three jobs on leaving University," says Brendon. "I got an offer and as a twenty-year-old, I accepted. But because I'd failed a paper in my last year, I still needed to go back and finish that off for my first 6 months of working." Both agree that that culture of the firm is about finding well-rounded people, rather than the most book smart people. "We like staff to be a well-rounded person, to be able to take on advice and instruction. We also like our clients to be varied and interesting, and if they know to come to us before they get into challenging situations" says Matt. "Accountants are a bit less worrying than Lawyers to talk to, so we often get the interesting business issues." Brendon agrees "Our role is a business advisor. Your client needs to feel comfortable telling you their deepest, darkest secrets or wildest dreams...really!" The founder of Pocock Tong Trass, Bryan, also paved the way for Matt and Brendon, showing the pair the importance of building relationships, treating people like people, and understanding that outside of the family, a business is people's greatest passion. "We're so grateful to have him to look up to and as a mentor, and to have Anna as well," says Matt. How have they grown as people, and into their own business? 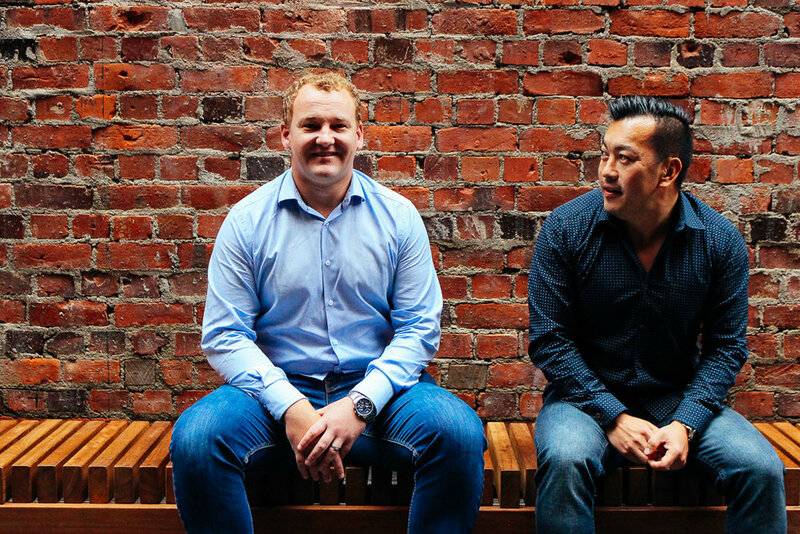 When a split of the accounting business in 2017 changed the business from Pocock Hudson to Pocock Tong Trass, Brendon was asked to step up into Directorship. "Despite having told everyone else how to run a business for a decade, I myself hadn't actually run one. It was sooner than expected, but I jumped in. You don't understand until you own a business how 24/7 it is" Brendon says. Brendon admits that he's had to change over time, encouraged by his Scottish wife Sarah to be more confrontational. "Sometimes you do have to push a bit to get the answers you need, and I've grown better at it, without being confrontational." Matt agrees. He and his wife, Abbie, also own 'So You' hair salon, and know that every detail is vital to a business success. "Despite my directorship, it wasn't until we owned the salon that it really hit home. If you don't get the towels laundered, they don't get laundered. It's on you. But you get so much gratification from the job because of feedback." They also recently updated the new Pocock Tong Trass website, which marks an exciting new step into a new chapter of the firm. What remains the same, however, is the customer focus and love of the people they deal with. "You're always dealing with people as an accountant," says Matt. "You need to love helping people. When you get that end of year phone call when someone thanks you for what you did for them this year, whether it be filing a tax return to a large restructuring deal, you feel good." The harbour-side life is right up their for Brendon and Matt, both of whom appreciate that Wellington is right by the sea. "I also love the village feel. It's so compact, you can walk everywhere and everyone knows everyone" says Matt. "You form relationships by knowing someone else who knows someone else. That's how we've built our client base. Through people who know one another and are like-minded."